In the background Cebu then Mactan international Airport and Hotel Mb's Garden Inn with Restaurant nearby MB's welcomes you at Mactan Island in Lapu Lapu City. Basak Kardogy road. 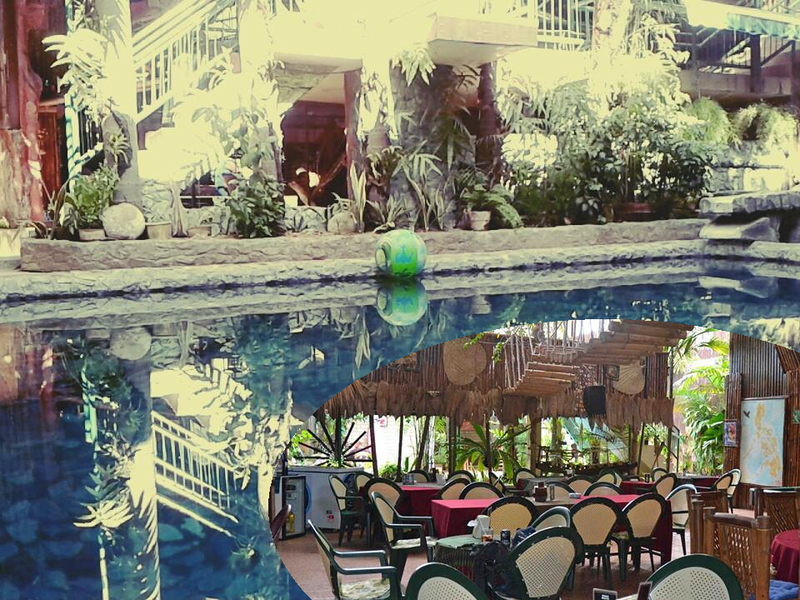 Nestled in a Garden Environment atmosphere, MB's Garden Inn is an idyllic "home away from home" holiday getaway. 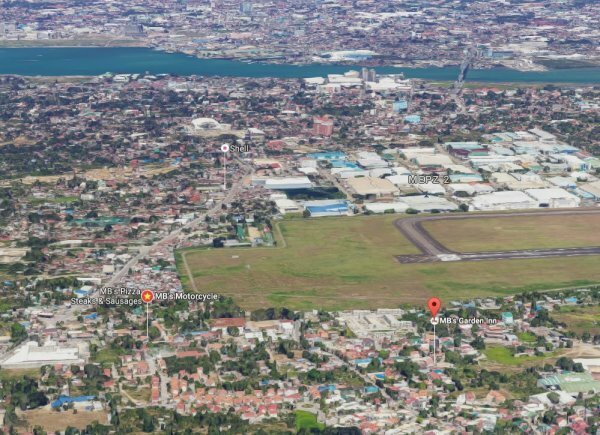 Located just 10 minutes away from Mactan International Airport, MB's Garden Inn is within close proximity to many entertainment establishments, shopping centers and night life activities. Just to relax after a long travel. Affordable room rates between 850 PHP - 1500 PHP. Airconditioned and clean rooms at Mactan Island - Philippines. Enjoy our reasonable priced offers in our restaurant. 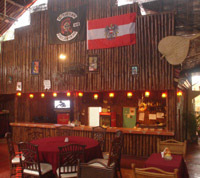 You will find German, Italian, Mexican and lokal meals at our menu. Fresh quality at reasonable prices. Local and international beers, softdrinks and licors available. Discover the Philippines. Rent a motorbike. Our bikes are well maintained in our own workshop. That gives you the safety which you can expect to enjoy your rides to the fullest. Just into Island hopping around a lot by a motorcyckle and found this lovely place on Mactan an island near the cit of Cebu. Comming from the choccolado hills in Bohol doing a lot of diving and just bathing and having a great time, fresh fruits, juicy days you know. Sign says MB's Tavern but in the blocks around there was also a mb's Garden Inn with more things to discover. the garden was filled with persons who also did island hopping, or intended to ... so a lot of info came as a nice good supprise. And ok, yes one or two pizza was there to eat telling me - eat drink and enjoy. Far away from the ordinary fitness routine. 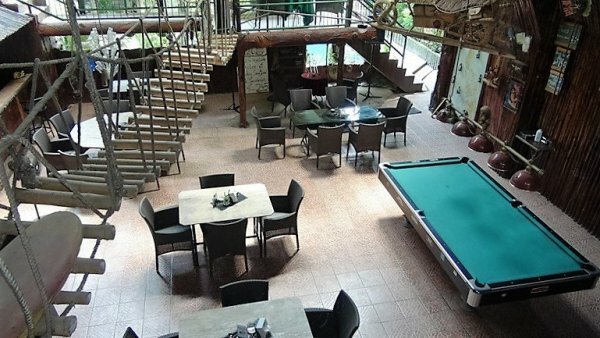 Here is the heart of Garden in with really no big roads in, just, maybe thats why there are so many bikers inside, MC after Mc, fillled with island hoppers maybe because of the cheap rooms, or the big massive meals that al synch in the eat drink and dine tempo at the beautiful garden inn. Here is the hard training fitness guru as well as fitness princess at mb's garden inn, she loves motorbikes MC of many kind. And even more than so since she even married a biker, yes marlene at Mb's is married. Fitnessguru Marlene at Fitness kandaya away from work at mb's in mactan. bellow and older pic of ..
Marlene Effelberger and Michael Effelberger the owner of Mb's garden inn, or as i saw them friendly helpers in the way of finding ways around mactan, cebu and island hopping around the philippines. Boracay, bohol, negros and many island around the island of mactan near Cebu. Their love for the island mactan and traveling is part of the explanation of why mb's garden inn are so much more than just Dinner in mactan. more than just a friendly and open dining place. 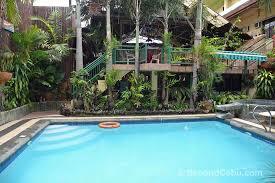 Hotel Mactan Cebu - with bar Restaurant and small cheap rooms near the airport of Mactan Cebu International CEB.